Alan Saulnier says years of successive governments playing politics with the CBC’s budget has left the broadcaster vulnerable. In an editorial in the Toronto Star, Saulnier says both Prime Minister Pierre Trudeau and Prime Minister Jean Chrietien in their day used threats to the CBC’s funding to pressure the network into more favourable news coverage. This “is also the formula that Stephen Harper is using now,” Saulnier writes. Saulnier isn’t the only one who sees Lacroix as part of the problem. The Radio-Canada newsroom in Sherbrooke, Que., last week refused to accept an award from the CBC president for its coverage of the Lac-Megantic disaster. The CBC employees cited concerns about job cuts at the network. Thousands of people in Montreal and other cities in Quebec and New Brunswick this past weekend protested cuts to CBC services. The broadcaster announced in June it would reduce its workforce by 1,000 to 1,500 jobs, on top of 657 job cuts announced this spring. Saulnier says he was fired from his position as director-general of information programming at CBC in 2012, and he links his firing to the election of a majority Conservative government in Ottawa. “I understood that my days were numbered during a meeting with the CBC/Radio-Canada board of directors a few weeks after Stephen Harper’s majority victory in May 2011,” Saulnier wrote. Saulnier details his allegations in a new French-language book, Ici ETAIT Radio-Canada. The CBC is struggling with revenue shortfalls on numerous fronts. The broadcaster last year lost the rights to NHL broadcasts, after Rogers signed a $5.2-billion, 12-year deal with the hockey league. 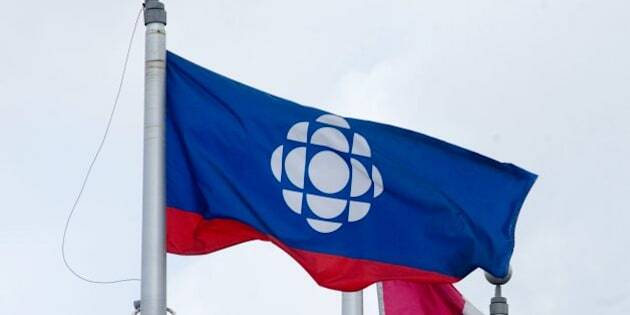 And beginning in 2012, the Conservative government has been reducing the CBC’s public funding, with the reductions expected eventually to reduce the CBC’s budget by $115 million, or about 10 per cent.